When it comes to investing in your online presence, most business owners tend to think about everything else but web hosting. They focus on design, paid traffic, content monetization – basically everything else instead of a solid foundation for their website. Choosing a reputable website hosting company for your brand is the beginning to attracting more subscribers. The goal is to provide them with the best experience possible, and to rank higher in the search engines. 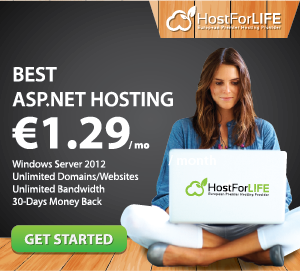 What type of host has the best service at a price you can afford? There are quite a few companies out there who offer both dedicated and shared hosting packages. In order to choose the right one your business should first assess your needs, audience, and the reputation of the provider. Speed and loading times – If your website takes too long to load you could lose valuable visitors. It’s important not only to know the reputation of the web hosting service, but also how fast their server is. This includes the capacity that it can handle — take a look at other customer reviews to find out what their experiences have been. Unlimited bandwidth – When choosing a dedicated server it’s important that your brand has access to unlimited bandwidth along with no limits on data transfer and disk usage. This is especially good to consider if you are planning on having multiple clients on your server. Good security – With new malware and security attacks taking place daily your business will need to ensure that the host provider has the latest encryption available. This means they must include a Secure Sockets Layer, which protects private data of the users. New versus older companies – The latest and cheapest company may be tempting to sign up with — but this could cost you more in the long run. Find out the different packages that are being offered, any price increases over time, and what others are paying. A more established company may be a bit higher than you would like, but what they may have to offer can far out way the costs. Attracting more website visitors for your personal brand starts with a good web hosting provider. As you take a look at the different options and conduct research you will discover exactly who is the right fit for your business. Signing a maximum of two years to start is the best way to test out a new service — you can always extend the package down the road.